The real estate markets in India seem to be aligning themselves to market realities in more ways than one. 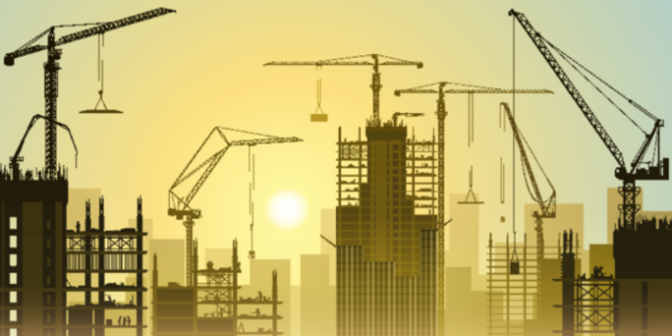 For the first time after 2008, residential apartments sold across India in the first three quarters of 2016 have been higher than new units launched in the same period. The current residential sales data indicates a continued stability in prices in the near future, denying market pundits’ recent predictions of heavy price corrections. It reflects a new reality, wherein markets are maturing and developers are consciously trying to reduce inventory levels across cities by gradually decreasing the number of launches. 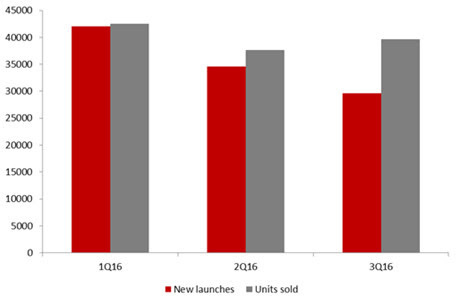 In 2016, only 1Q saw a high number of launches, followed by a slowdown in successive quarters. In 3Q16, the number of apartments sold pan-India exceeded new launches by more than 10,000 units. What is interesting is that the market which is most often seen as laden with oversupply is the one where this gap is the largest. In Delhi-NCR, the gap between the newly launched units and the units sold is as high as 20,000 during the first three quarters of 2016. JLL data indicates that this is not just a clear trend across the three metros – Delhi-NCR, Mumbai and Bangalore – but also in the other cities like Chennai, Hyderabad and Kolkata. 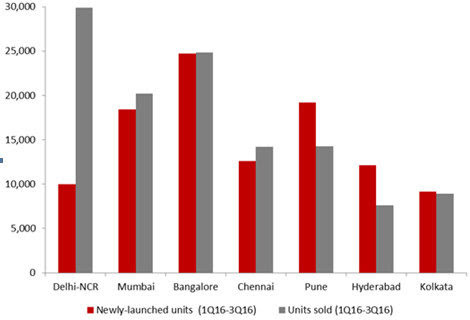 Although the overall number of new launches looks greater than units sold in Hyderabad and Kolkata, a closer look at our data shows that this is because of the high number of launches in 1H2016 in these markets. From 3Q2016, we will see these two markets also getting aligned to this emerging pan-India trend. While Pune also seems to follow a different trend, what needs to be noted in this city’s case is that the number of new project launches reduced in the first three quarters of 2016. However, some of these were large projects having a high number of units, which skewed the total units launched numbers. The city is expected to see lower number of units launched for the next three to five months. Overall, this trend seems here to stay for some more quarters. It would be interesting to see if 2016 sets a new benchmark in units launched versus units sold, surpassing the historic year of 2008 for good. This data should also serve as an eye-opener for fence-sitters expecting a price drop, which may not happen. The recent demonetization will have a short-term impact on sales, but will also have a short-term impact on launches, with developers not wanting to launch new projects given the short term uncertainty. The negative sentiment gripping this sector over the last one year or so may well be misplaced. 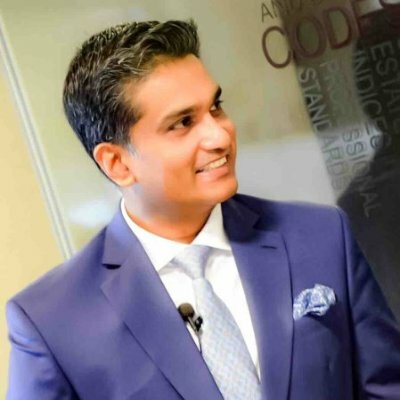 With demonetization and several other regulatory reforms like Real Estate Regulatory Bill, the Benami Transactions Bill and the Goods and Services Tax, the time may now be ripe, for a market which will see the genuine buyer coming back into the market, as a number of fears have been allayed. And while regulatory bodies are playing their role from the outside, we see the sector adapting itself from within as well, towards a new equilibrium.